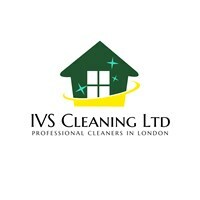 IVS Cleaning Ltd - Cleaning Services based in Woodford Green, Essex. We do bespoke cleaning for your specific needs! Professional cleaning company in London, providing a new approach to home and office cleaning services! And because let's be honest, you are not interested in our business, you are interested in your needs! And that is why you are here now! This is what we can provide! Since it is not really important what we are and what we offer, the most important is what you want and whether we can give it to you!? The answer is - YES, WE CAN!